For patients who have experienced seizures, liver failure, premature delivery, the loss of their baby, or a sudden turn of bad health caused by hypertension during pregnancy, it might seem obvious that women are left feeling depressed, scared and lonely. In the words of one patient, "I tried [unsuccessfully] to psych myself into believing that because I survived and our son survived, I should be happy." Word-of-mouth experience told us that women were suffering more than bad health because of preeclampsia, but research has thus far been scant on the specifics of how women are suffering. And without that peer-reviewed research, health care practices to help these women will not change. Two teams of researchers from the Netherlands and the University of Southern California set out to do just that. With collaboration from Preeclampsia Foundation supporters, the Brain Study utilized a combination of tools (including pregnancy history, the Cognitive Failures Questionnaire (CFQ), the abbreviated WHO Quality Of Life questionnaire (WHOQOL-BREF), Social Functioning Questionnaire (SFQ) and the Breslau Short Screening Scale for DSM-IV Posttraumatic Stress Disorder) to evaluate what impact preeclampsia had on a woman's cognitive, social and psychological health. The main Brain Study, led by Ineke Postma and Dr. Gerda Zeeman of the Department of Obstetrics and Gynaecology, University Medical Center Groningen in The Netherlands, looked at 966 cases (women who had some type of hypertension during pregnancy) and 342 controls (women who had not had any type of hypertension during pregnancy). The cases scored significantly worse on all of the evaluation tools, especially women who reported an eclamptic seizure or migraines. The Groningen team has also conducted research to look for the presence of white matter lesions in patients who have experienced eclamptic seizures, which may provide a glimpse of long-term effects on patient's brain. (3) Persistent symptoms of increased arousal, such as difficulty sleeping or concentrating, outbursts of anger. Symptoms cause clinically significant distress or impairment in social, occupational, or other important areas of functioning. The Breslau Short Screening Scale specifically looks for symptoms of avoidance and arousal in patients. Women with a traumatic pregnancy had almost 4 times the risk of screening positive for PTSD compared to the control population. Interestingly, the study found a clear and dramatic increasing risk of PTSD with the increased risk of severe effects. Women who reported having had an eclamptic seizure were at nearly 10 times the risk of screening positive for PTSD; women with HELLP syndrome almost 6 times more likely. All numbers were adjusted for age, previous history of mental illness and number of pregnancies. 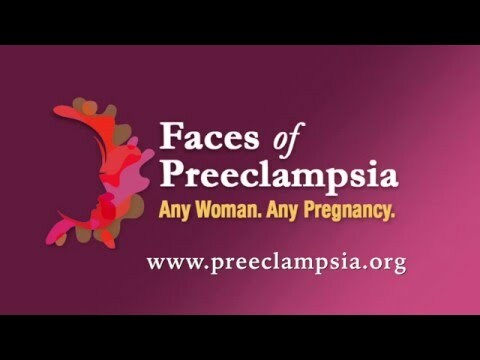 So what does that mean for patients with preeclampsia? First of all, patients should watch for signs of psychological difficulties and talk to their healthcare providers. Health care providers should also be aware and discuss this with their high-risk patients. As promising as both studies are, more research is needed before these findings on long-term cognitive and psychological impacts will change health care practices. The Foundation continues to collaborate on research through our Vision Grant funding, Study Recruitment Services, and through the patient-led Preeclampsia Registry. These two studies are the beginning of a continuing process to look at the long-term effects of preeclampsia as more than "just" a disease of pregnancy.